The technology of Photonic Integrated Circuits or PIC's opens up whole new opportunities in improving existing electronic and photonic devices, or enable new ideas to be realised. A wide variety of applications can be devised which make life better, e.g. The PICS4All specialists support academia, research institutes and SMEs but also larger companies. PICs4All aims at low-cost development of ASPICs (taylor made or Application Specific PICs) using the generic foundry model, and rapid prototyping via industrial Multi-Project Wafer runs. 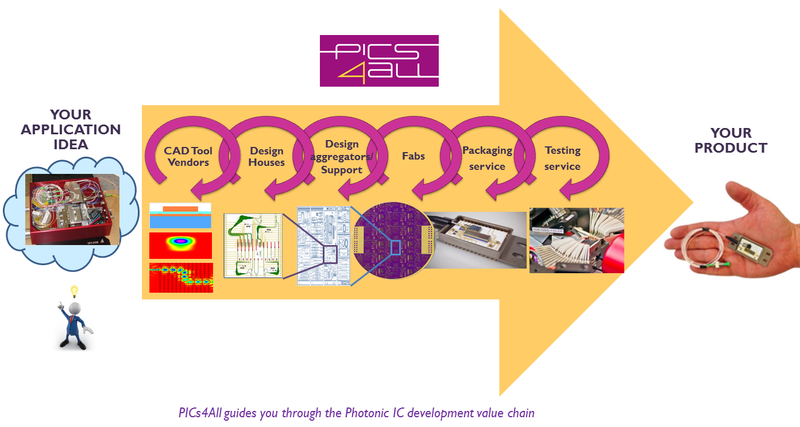 To this end, PICs4All brings together the PIC-value chain of Europe’s key players in the field of photonic integration, including Photonic IC design houses, photonic CAD software partners, manufacturing and packaging partners, and R&D labs for testing. In addition, PICs4ALL colaborates with ACTPHAST (Access CenTer for PHotonics innovAtion Solutions and Technology Support) which is a “one-stop-shop” for supporting photonics innovation by European companies, which is financially supported by the European Commission under the FP7 framework (Grant Agreement No. 619205). The access to top-level experts and leading photonics technology platforms provided by the ACTPHAST consortium is realized through focused innovation projects executed in relatively short timeframes (typically 6-9 months) with a critical mass of suitably qualified companies with high potential product concepts. The ACTPHAST program is particularly suited to the needs of small to medium-sized enterprises (SMEs) who do not have the financial resources to invest in in-house R&D expertise and state-of-the-art technologies, nor to undertake risky innovation projects. ACTPHAST support is 100% subsidized for projects undertaken with SMEs. 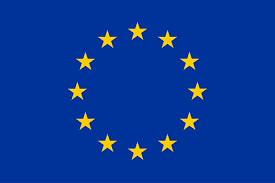 It is designed to provide open access to photonics innovation support for all European companies who meet the eligibility criteria. If you want to be contacted by ACTPHAST you can register your interest by filling the following form.